As expected, Matthew Pan (or his handlers, depending on how you view this story), has appealed to the European Court of Human Rights. You may recall that Pan is a chimpanzee currently residing in Austria. An animal-rights group took his case to court after the shelter where he had lived for 25 years closed for lack of funds. The group says the only way to be sure that Pan is not deported and possibly mistreated is to have him declared a legal "person" so that a guardian can be appointed for him. Austrian courts have refused to do this, although it appears that they have so far avoided the central legal question of personhood by ruling that even if Mr. Pan could be considered a person, there are no current grounds to appoint a guardian because he is "neither mentally impaired nor in danger." Presumably the European court would take up the question of legal status if it decides to take the case. 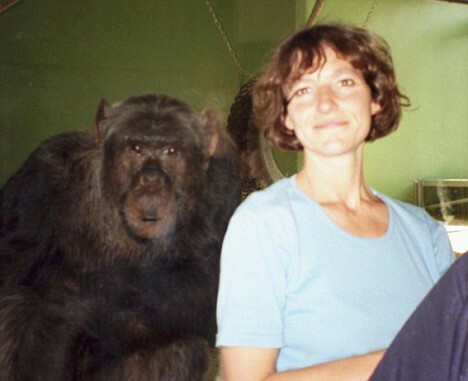 According to a Daily Mail story on May 21, a British teacher living in Vienna has offered to adopt the chimp if he is declared a "person." "Since he has no close relatives," she said, and since they would also be apes if he did, "I am doing this as the person closest to him."